ScotRail paid out more than half a million pounds in compensation to passengers in the last nine months of 2016, according to new figures. The statistics, obtained by the Scottish Conservatives, show commuters received £587,527 in compensation between April and December. Almost £340,000 of that sum went to those who complained about delays, with £52,000 handed to others as a “gesture of goodwill”. The Freedom of Information request also listed £178,000 under a category entitled policy. The Tories said this represented full or partial refunds to customers who felt the agreed level of service had not been reached. Overall, more than 40,000 people successfully sought financial redress in the nine months, with the monthly number rising significantly during the period. In April, £24,244 was paid to 1,963 people, compared to £94,878 to 9,224 in December. Scottish Conservative transport spokesman, Liam Kerr, argued this reflected the “nosedive in quality and reliability experienced by passengers on Scotland’s trains”. He added: “It’s no surprise the bill has surpassed £500,000 for the last nine months when you consider the problems on our railways. “As well as passengers, you have to feel for the staff who are doing their best with no help from the Scottish Government, and they will be wondering how transport minister Humza Yousaf ever allowed it to get this bad. “It’s vital the situation on Scotland’s railways is sorted out. A ScotRail Alliance spokesman admitted that, due to “ongoing investment and improvement” of the network across the country, there had been more delays than normal. He added: “We are completely supportive of Delay Repay because it compensates passengers for delays and our performance improvement plan is all about making our service punctual and reliable. 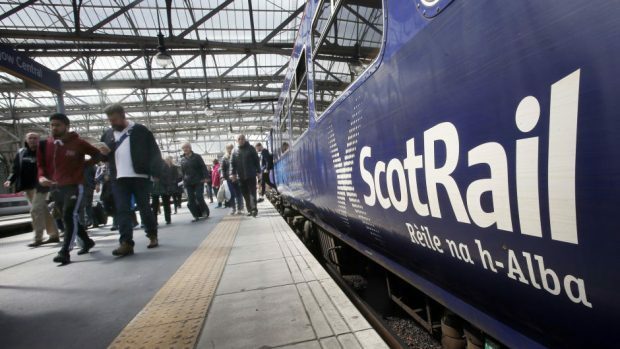 A Scottish Government spokesman said: “We acknowledge that there have been issues in respect of ScotRail’s performance which has fallen below the standards required by the franchise contract. “However, ScotRail has developed and implemented a performance improvement plan and we are encouraged to see that performance in this period is significantly better than the last, and above the same period last year.